Temptations to sin are sure to come; sin is unavoidable. No matter how hard we try to keep God’s commandments and do what is right, we will fail. No one, not even the first disciples, can resist all temptations to sin. But temptation to sin is not a problem for Jesus. He realizes that his disciples will be tempted just like all other sinners in the world. Indeed, Christians may very well face more temptations than non-believers. Satan places a high price on heads that are marked with the cross of Christ. Jesus certainly does not condone our sinning, but he knows it will happen. That is why he died — to take away our sins, past, present, and future. The bigger problem for Jesus is that the sins of his followers could potentially lead others astray as well. Like it or not, Christians are held to a higher standard — today more than ever. Yes, believers sin, but when sin happens, Jesus expects his followers to be bold enough to hold one another accountable, so that the healing work of repentance can take place. Only through acknowledging our sins, can Christians be the leaders our Lord has called us to be. 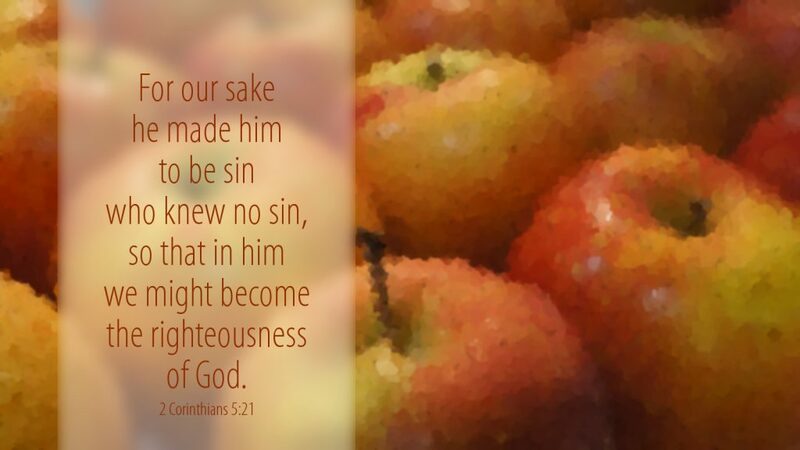 Prayer: Gracious God, lead us away from sin and into your path of righteousness, through Jesus Christ our Lord. Amen.